March 15th sadly marks 8 years since the Syria conflict began in 2011. 13.1 million people including 5.3 million children have been plunged into desperate need. Over 6 million Syrians are displaced within Syria and over 5.6 million have been forced to seek refuge outside of Syria (mainly in Turkey, Jordan and Lebanon), over half of those children. Access to water, food, education and basic health services are the biggest priorities. According to OCHA, Syria's standard of living has regressed by almost four decades due to the conflict. Four out of five Syrians now live in poverty. Life expectancy has dropped by more than 20 years. 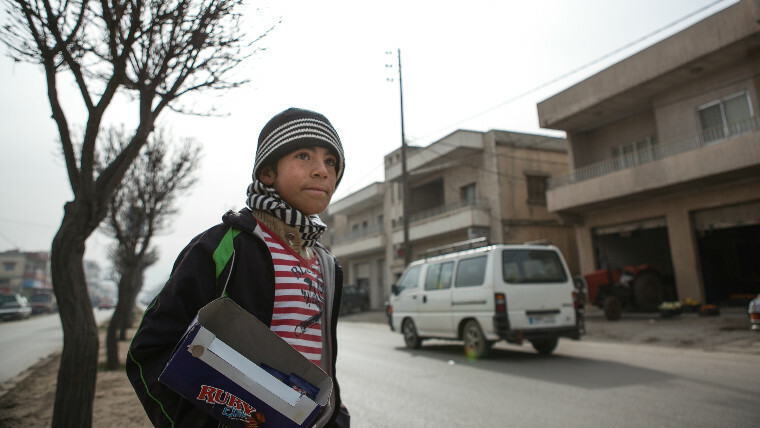 In Syria, millions of children have lived through eight years of relentless war. Many children don’t know what it’s like to live without the threat of violence. Eight years of conflict have caused harm and suffering to children and their communities. The UN Secretary General’s most recent Annual Report on Children and Armed Conflict found that 2017 saw the highest number of verified grave violations against children ever recorded in Syria. Since the start of the conflict, enrolment rates for children across Syria have plummeted from 85% in 2010 to 61% in 2018. Enrolment rates for refugee children in host countries are even lower, with fees for transportation, uniforms, and other materials constituting a significant barrier. All of this is expected to have a severe impact on their mental and emotional wellbeing. As children and adolescents struggle to see any future beyond this conflict, there's fear that they could become a lost generation. You can support these children by donating now. We all have a responsibility to the children of Syria: to help rebuild their country and create a peaceful future; and to protect their rights – to an education, to a childhood – wherever they’re living. 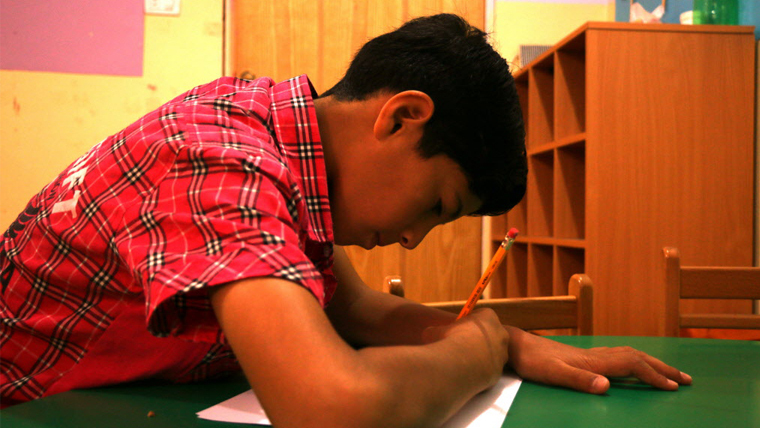 We asked Syrian children in Jordan and Lebanon about their fears and dreams. Approximately 60 per cent expressed fears for their personal safety or worry about losing a close relative. These statistics almost match those of a similar survey that was taken in 2017. Whilst the Syrian children that we spoke to now live within host countries that are perceived to be safe, they often have few rights, lack of social infrastructure and increased vulnerability to violence most commonly in the forms of early marriage or child labour. My biggest dream is to learn and study to become a doctor — to treat and cure people. But because of the war that started in Syria, I couldn’t achieve that dream. Now that I am in Jordan, I still want to pursue my dream of studying, but I was forced to go out to work to support my family. I couldn’t continue studying. The dreams of the children were overwhelmingly similar. Many spoke of future professions (37%), finding love and happiness (16%) and ending conflict and climate change (14%). We began helping children and their families affected by this crisis in 2011. Eight years on and World Vision has provided assistance to 1,229,790 people (including 695,883 children). We've been working in the northern Kurdish Region of Iraq (KRI) since 2014. We're helping people who've fled their homes with food assistance, safe water and sanitation. We've been working in the northern Kurdish Region of Iraq (KRI) since 2014. We're helping people who've fled their homes with food assistance, safe water and sanitation. We're also providing primary healthcare, safe learning spaces, protection services, and psychosocial support for children affected by the crisis. In 2017 we helped 937, 294 people including 530,396 children. 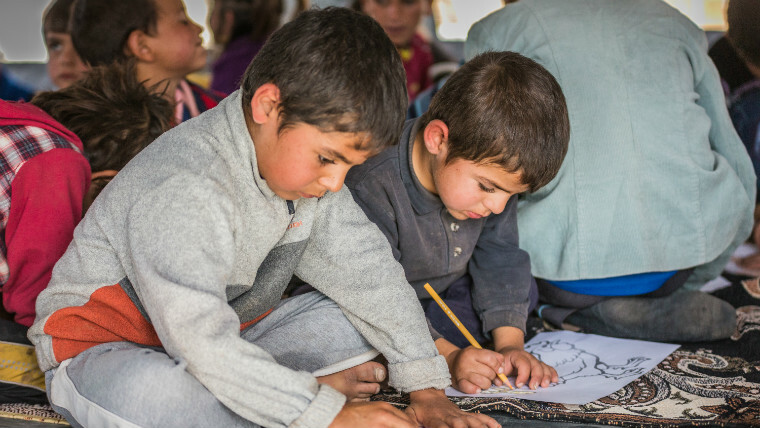 Since 2011 we've been working with Syrian refugees in Lebanon and with the local communities. Since 2011 we've been working with Syrian refugees in Lebanon and with the local communities. We now provide e-card cash and water and sanitation for households. And we're supporting children with educational and psychosocial programmes. In 2017 we helped 202,600 people including 75,102 children in our Syria Crisis Response in Lebanon. In early January 2019, storm "Norma" battered Lebanon with snow, heavy rainfall, strong winds and very low temperatures. The heavy rain lead to severe flooding, erosions and road blockages across several areas of the country. The storm damaged shelters and caused floods in Informal Settlements where Syrian refugees are and on agricultural lands, damaging household items (mattresses, blankets, clothing etc). With generous funding from the Start Fund we were able to focus on life-saving activities complemented by Disaster Risks Reduction (DRR) activities to enable people to be better prepared for future emergencies. Improving the informal settlement conditions: cleaning of rivers/trenches, distribution of drainage kits, and gravelling of muddy ground inside settlements and on the roads leading to settlements. Distributing fuel vouchers and kitchen kits. Since 2013 we have been working alongside Syrian refugees in Jordan and with the local communities who are hosting them. 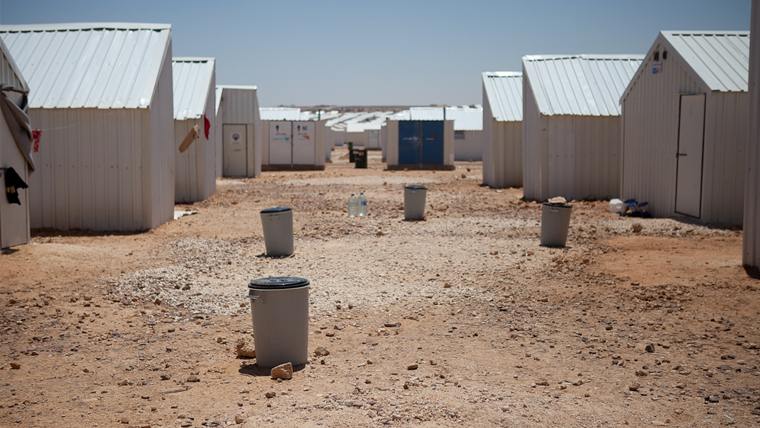 Since 2013 we have been working alongside Syrian refugees in Jordan and with the local communities who are hosting them. In 2017, we helped 188,316 people including 131,004 children. Thanks to fundraising by the Love Running group at Woodlands Church in the UK, we supported a food programme in Azraq camp that helped around 7,000 children in the camp’s schools . 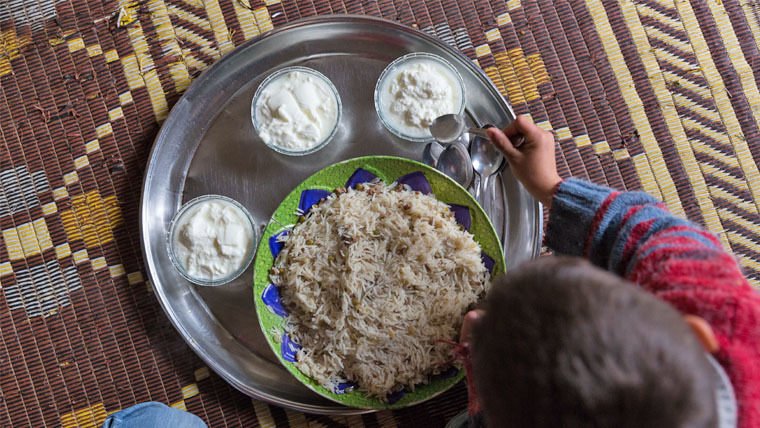 The programme’s Healthy Kitchens initiative provided both employment for Syrian refugee women and nutritional support for children – helping their health and learning. You’ve helped so many children; but now in the ninth year of conflict, humanitarian needs continue to grow, and more and more families need urgent support. 13.1 million people need humanitarian assistance now – including more than 5.3 million children who have lost homes, friends, family members and seen or experienced violence that no child ever should. But they're still children. They deserve a childhood and hope for the future. Donate now to help Syria's children overcome the past, thrive today and hope for the future. March 2018 marked the seventh anniversary of the Syrian conflict. The conflict has quickly become the worst assault on children in a decade; the situation is becoming increasingly worse, with growing reports of violence and targeting of children. 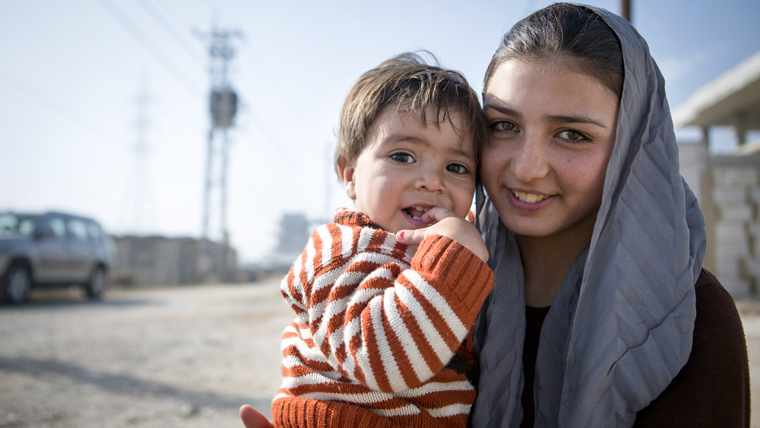 So far, you've helped us raise over £1.5 million for those impacted by the war in Syria. So far, you've helped us raise over £1,451,721 for those impacted by the war in Syria.